There’s a good reason, if not several good reasons, why we do what we do here at Protocast Inc. By ensuring that our clients have a product or tool prototype that meets their exact specifications and engineering requirements, we can verify that something is exactly as it should be prior to a full-scale production run. From motorcycle parts to niche tools, we’re in the business of saving other businesses tons of money in the long run, not to mention a headache or two. In the spirit of avoiding costly production errors before they happen, our rapid investment casting experts at Protocast Inc. are going to look at a few interesting situations that went wrong due to major miscalculations. As one can imagine, our work is precision-oriented, involving a great deal of numbers and calculations to ensure that something meets strict specifications or dimensions. Curious about learning more? Check out what we do and what we do it, or feel free to get in touch with us about our rapid prototyping and investment casting services. At the end of the day, we’re only human, and hey, mistakes happen. 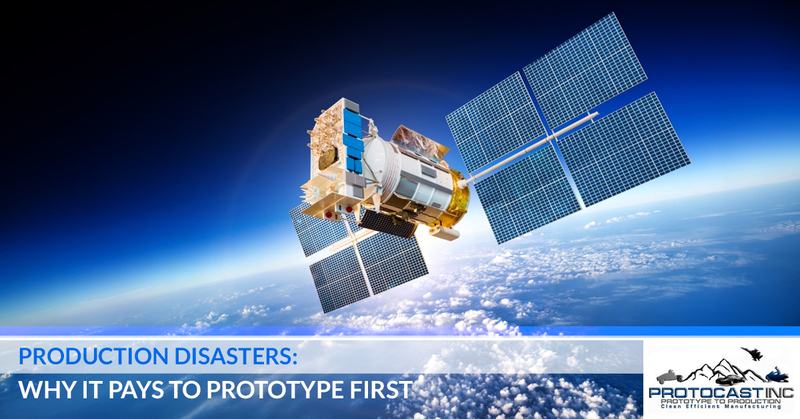 But for an organization like NASA, mistakes can be extremely costly, even if it’s just one miscalculation. In 1999, NASA lost a Mars orbiter because one team used metric units for a particular calculation, while another team did not use metric units. Let’s just say that you certainly wouldn’t want to be the individual responsible for that costly oversight. We’re sure that reading the above line gave you a rush of anxiety, because it should. Not that you should worry about your next flight running out of fuel, but back in 1983, an Air Canada plane ran out of fuel during the flight. The lack of sufficient fuel was apparently due to not one, but two major (but fortunately not fatal) miscalculations. As it turns out, this was Air Canada’s first plane to use metric conversions. Amazingly enough, only two people were injured during the emergency landing. Did you know that “grain” – not “gram” – is a unit of measurement? A grain is roughly equivalent to 0.065 grams. Back in 1999, the Institute for Safe Medication Practices reported an instance where a patient had received 0.5 grams of phenobarbital, a potent sedative, instead of 0.5 grains like the patient should have received. After such an occurrence, the institute emphasized that only the metric system should be used for prescribing drugs. Even this early explorer struggled with getting his numbers right. By using Roman miles instead of nautical miles, Columbus accidentally miscalculated the circumference of the Earth. So, on October 12, 1492, he ended up reaching the shore of the Bahamas, thinking that he had reached Asia. You were oh-so-close, Columbus, yet so far away. Time and time again, our Denver machine shop does rapid investment casting and aluminum casting the right way – the only way we know. Get in touch with us for our prototyping services today!